Relocating to another country is a brave move; moving overseas can often mean negotiating new language, cultural, and social barriers. Netpreya moved from Thailand to Australia in 2016. She enrolled in the Adult Migrant English Program (AMEP) at Palmerston’s STEPS Education and Training because she wanted to focus on improving her English skills. 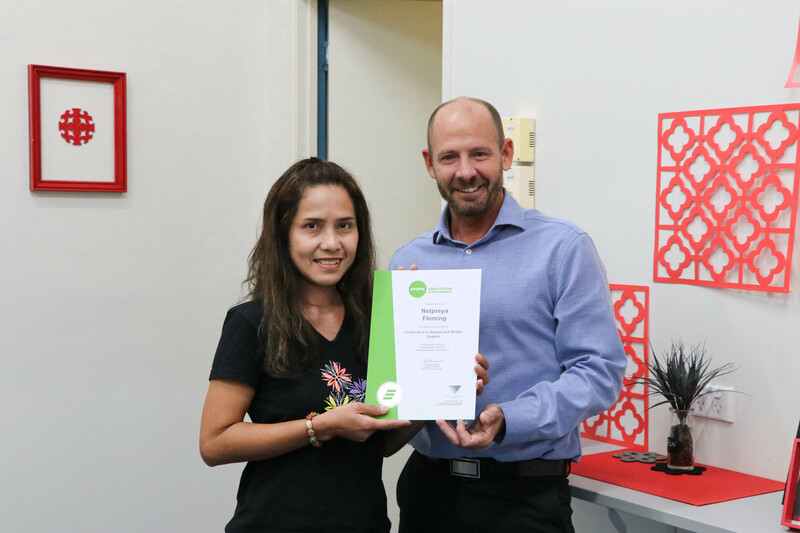 Recently completing her studies, Netpreya received a Certificate II in Spoken and Written English, and sat down with us to talk about her study experience. “We had people from many parts of the world,” Netpreya said of her class at STEPS. She said she grew very close to the students and staff and would sometimes get together out of class time too. Finding a friendly and welcoming community at STEPS, Netpreya said the best part about studying there was the people. “Our trainer was very nice and everyone was so welcoming,” she said. AMEP provides free English lessons to help people work, study and enjoy life in Australia. STEPS can provide up to 510 hours of free English language lessons to migrants and humanitarian entrants. Executive Manager of STEPS Education and Training Joel Stevens said STEPS aims to provide more than English language lessons. 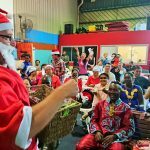 “At STEPS we want to create a welcoming community and support migrants and refugees as they settle into life in Australia. “That’s why our program covers a range of topics that will assist in everyday life in Australia and provides a range of additional services including free child care and home tutoring,” Joel said. The Adult Migrant English Program (AMEP) is funded by the Australian Government Department of Education. Want to learn English? STEPS offers flexible class times in Casuarina and Palmerston call 1300 585 868 or Alice Springs call 08 8950 7600.